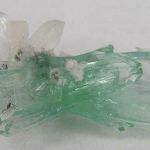 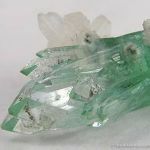 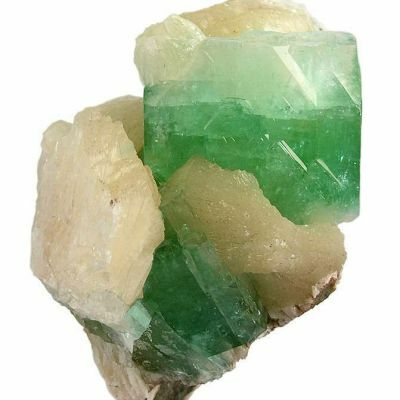 This is an exquisite, "bow tie," doubly terminated, crystal cluster, of lustrous, transparent, light, mint green, fluorapophyllite. 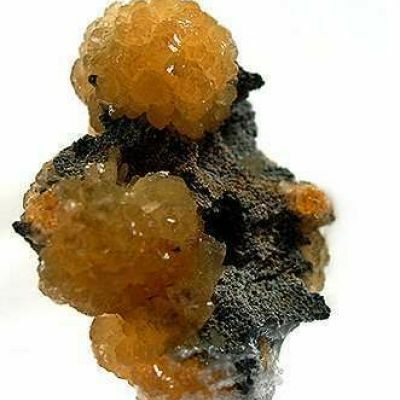 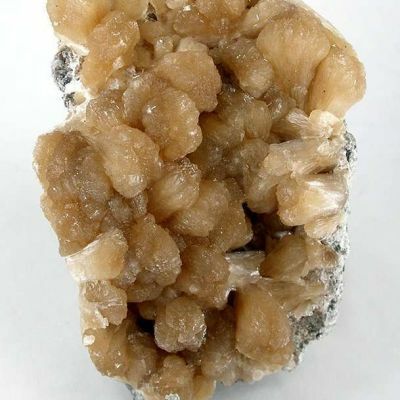 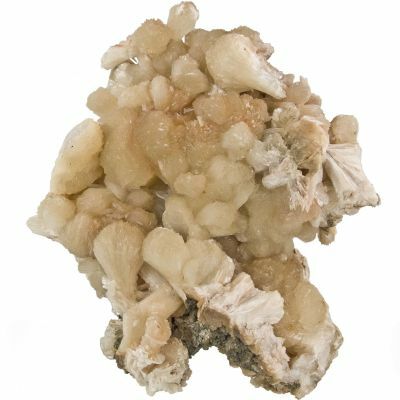 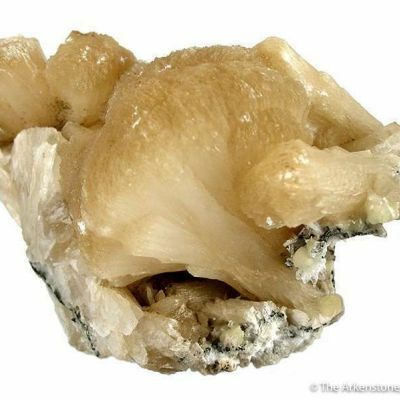 Attached are a few, pearlescent, stilbite crystals to 1.3 cm across. 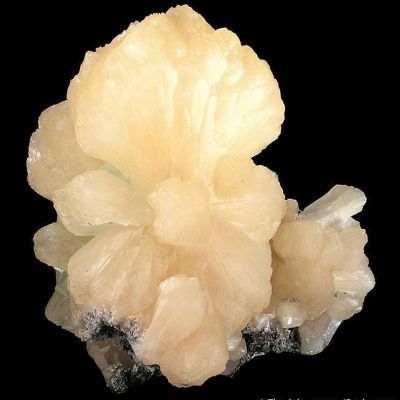 It is a large, and impressive thumbnail that really stands out from the crowd. 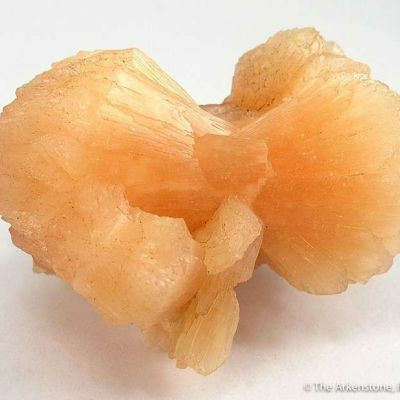 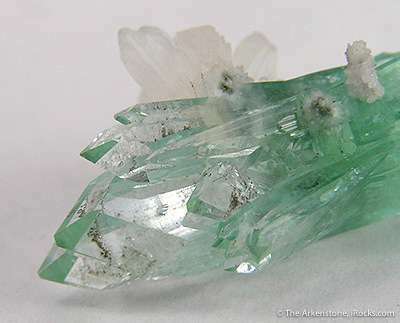 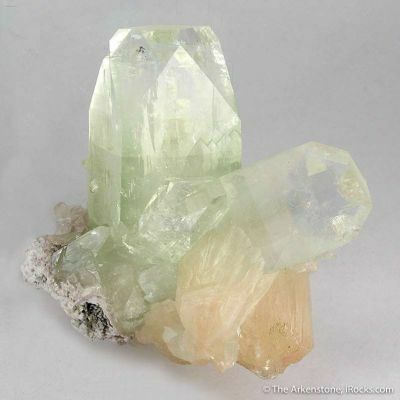 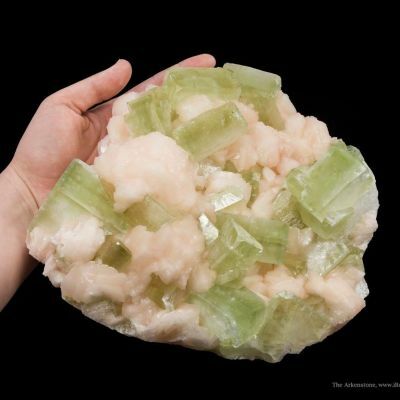 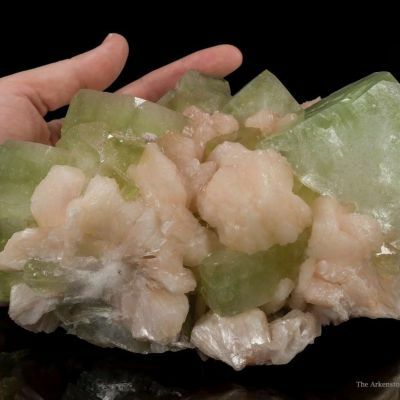 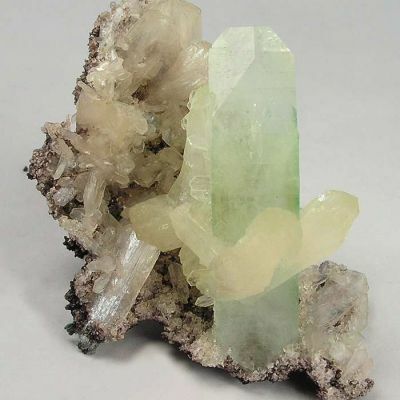 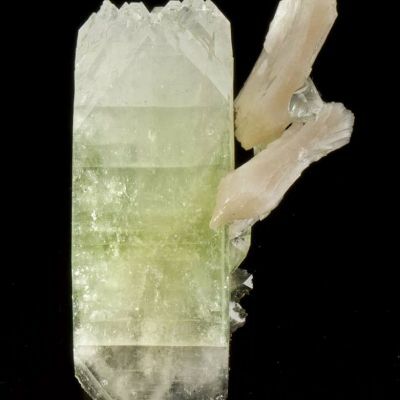 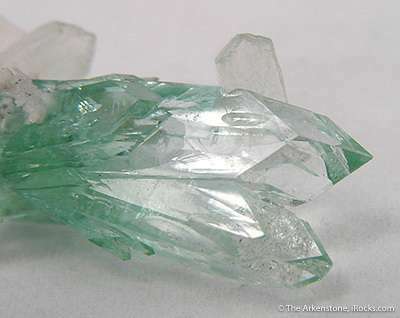 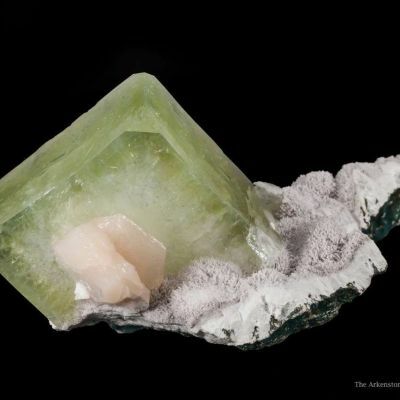 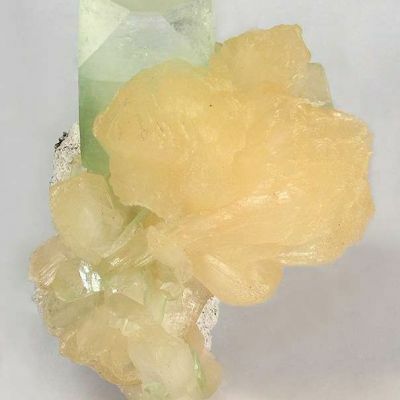 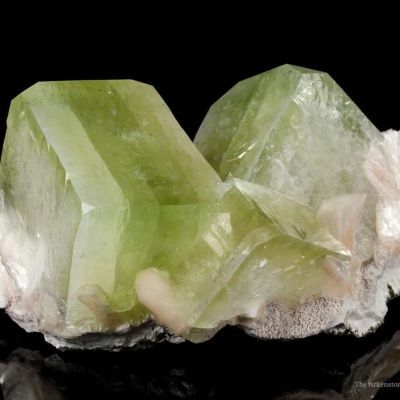 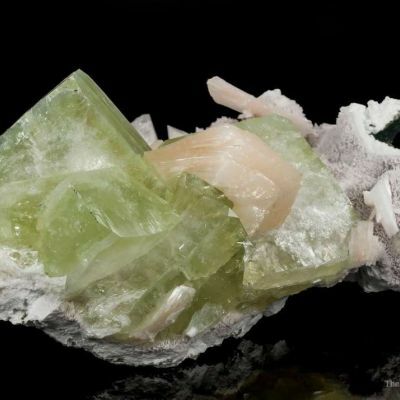 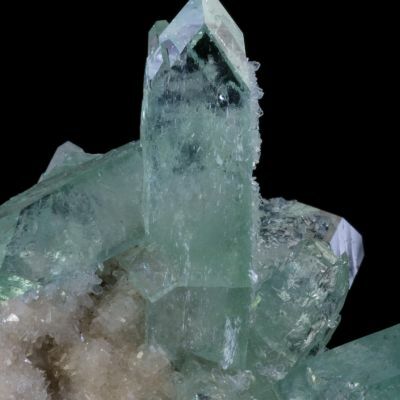 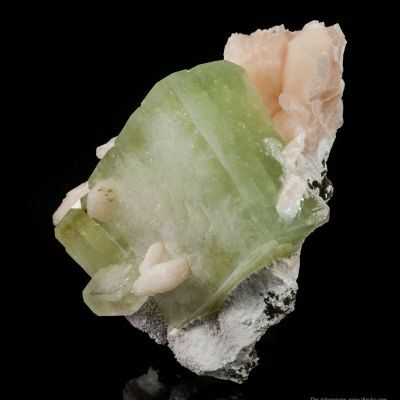 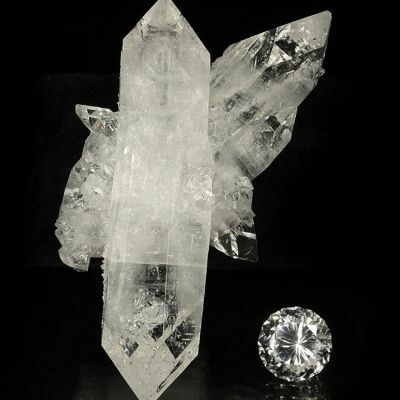 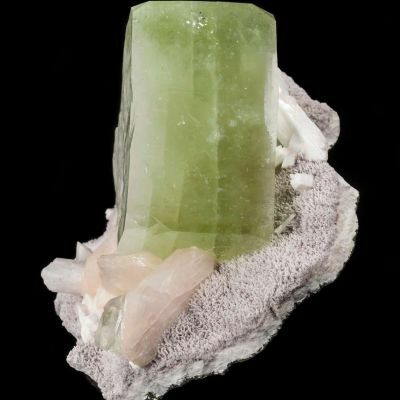 its not just a "small apophyllite..."; rather, its an exquisite one that happens to be small. 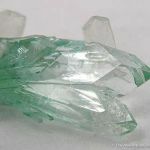 Important difference, especially in competitive thumbnail exhibits!